SAN DIEGO, CA--(Marketwire - February 16, 2010) - Overland Storage (NASDAQ: OVRL), the trusted global provider of effortless data management and data protection solutions across the data lifecycle, today announced the new Overland SnapServer SAN S2000: a feature rich, resource-efficient iSCSI SAN platform for businesses with growing data. The SnapServer SAN S2000 enables companies with Windows, VMware, Hyper-V, UNIX, Linux, or Mac OS X to take advantage of SAN capabilities that have traditionally been considered too complex to manage without specialized expertise, including active-active mirroring and failover, snapshots, replication and Microsoft Cluster Server support. Featuring automated capacity expansion, the solution enables policy-based storage volume growth to occur in a just-in-time manner without IT intervention, eliminating guesswork and over-provisioning. The SnapServer SAN S2000 scales effortlessly to 120TB and is a cost effective solution for businesses with virtualized server environments or storage consolidation requirements. VMware -- The SnapServer SAN S2000 integrates directly into the VMware management application to provide a host of advantages that include: simplified data store creation wizards for provisioning targets, the ability to provision storage for ESX clusters within VMware utilizing customized SnapServer tools, single interface configuration for SnapServer targets and VMware high availability for ESX data stores using native VMware utilities (DRS, HA, VMotion) with the SnapServer SAN active-active failover option. Microsoft Hyper-V -- The SnapServer SAN S2000 is certified to support Windows Hyper-V Server for Microsoft virtualization deployments. With customized tools developed for the SnapServer SAN it enables simplified management of Hyper-V for backup utilizing VSS (volume shadow copy services), replication and mirroring. In addition the SnapServer SAN supports direct pass through access for guest virtual machines enabling higher performance and security. "The new SnapServer SAN S2000 has allowed us to provide networked block-based storage to multiple servers and easily manage our data growth from a single interface," said Darren Dong, director of communications and web development at Riverside Community College District, an early beta tester of the SnapServer SAN S2000. "Our Fibre Channel SAN was making it difficult and expensive to map across multiple systems. The SnapServer SAN S2000 allows us to easily manage existing connections and create new ones as needed. We now spend a fraction of the time setting up and monitoring our storage solutions due to the ease of use of the S2000 and SnapServer Manager." The SnapServer SAN S2000 is the first iSCSI SAN solution to fully integrate autoprovisioning, an automated capacity expansion feature. With this feature, storage volumes are automatically expanded based on predefined policy -- without requiring intervention. Disk usage is also tracked, giving IT administrators the ability to easily monitor and manage disk capacity consumption across the organization. Companies with standalone or clustered Windows servers running business critical applications, such as Microsoft Exchange and SQL Server, can utilize the SnapServer SAN solution's active-active failover capabilities to ensure high availability and maximum uptime. Advanced replication functionality that supports up to 256 snapshots and failover ensure data is protected and accessible at all times -- regardless of its location -- while accelerating backup efficiency. "Businesses large and small face similar data storage growth challenges -- but often without the resources or expertise to effectively deploy a SAN. They need a solution that can be easily deployed, is simple to manage and can accommodate growing amounts of data," said Benjamin S. Woo, program vice president of enterprise storage systems at IDC. "Especially as more companies deploy virtualized environments, it becomes even more complex to manage data growth over the long term. With autoprovisioning technology like that in Overland SnapServer SAN S2000, companies can ensure that their storage solution can support business growth without having to pre-determine storage requirements or running the risk of over-provisioning." Automated capacity expansion -- The SnapServer SAN S2000 easily manages storage growth with an autoprovisioning feature that tracks disk usage and automatically extends volumes that reach pre-defined thresholds, without requiring IT intervention. Simple storage management -- With SnapServer Manager, IT managers can easily monitor and manage all SnapServer SAN and NAS systems remotely or locally via a Windows-based application or via web browser in heterogeneous environments. Maximized application uptime -- SnapServer SAN S2000 ensures that essential applications are available at all times by supporting active-active mirroring and failover, and is fully compatible with the Windows Multi-Path I/O (MPIO) framework; also supports Microsoft Cluster Server. Disaster recovery -- The inclusion of a VSS provider (Volume Shadow Copy Services) supports business continuity in the event of a disaster and increases backup efficiency while ensuring application consistency during backup and replication. It also enables SnapServer SAN S2000 to handle up to hundreds of thousands of replication recovery points. 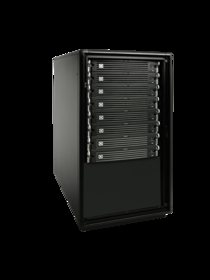 Twelve drives expandable to 120TB -- The SnapServer SAN S2000 is a 2U base system that can seamlessly be expanded up to 120TB utilizing SnapServer E2000 expansion units. "The SnapServer line has always been known for delivering rock-solid, reliable products for IT departments that need effortless and cost-effective storage solutions. The SnapServer SAN S2000 not only builds on this reputation, but actually brings a new level of innovation and sophistication to the product line," said Eric Kelly, president and CEO, Overland Storage. "We remain completely focused on listening to and addressing the specific storage needs of businesses by offering storage solutions that can quickly and easily be deployed within existing environments for instant scalability and reliability. Overland strives to deliver storage solutions that are truly effortless for businesses of any size." 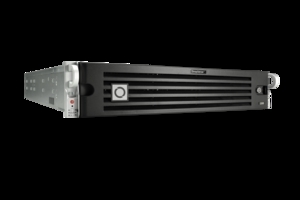 SnapServer SAN S2000 is available immediately for $14,995 MSRP. The SnapServer E2000 expansion unit is available immediately for $2,995 MSRP. For more information please visit www.overlandstorage.com. Overland Storage, SnapServer, and the Overland logo are trademarks Overland Storage, Inc., that may be registered in some jurisdictions. All other trademarks used are owned by their respective owners. About this company Overland Storage, Inc.